The young women sat in rows, heads bent, painting numbers on paper watch and clock faces with luminous paint. The numbers on the wristwatches and clock dials were so tiny, the workers needed a very fine brush to complete their work. So the painters did just as their bosses showed them, and pinched the bristles between their lips or teeth to get a superfine point for painting each number. Moore honors the lives of the painters – as well as their horrifying deaths – in her compelling chronicle of women whose work maimed and killed them while their employers, their doctors and their government turned a blind eye to their suffering. And the suffering was incredible: Their teeth fell out. Their jaws splintered in the hands of their dentists. Their hips locked. Their faces sprouted enormous tumors. They wasted away, just teens and young newlyweds, as families and doctors stood by, helpless. The painters at The Radium Dial Co. and The Radium Luminous Materials Corp. were told repeatedly that radium wasn’t dangerous, even though warnings about radioactivity had been trickling out since 1906. The industry’s spin doctors made sure their view of radium’s miraculous powers quashed any bad news. “The element was dubbed ‘Liquid Sunshine,’ ” Moore writes, and “on sale were radium jockstraps and lingerie, radium butter, radium milk,” and some people even drank it – unimaginable in this post-nuclear age. By the mid-1920s, the sick dial painters began to put two and two together. Their employers continued to turn them away, referring to them as a “menace” and blaming “women’s clubs” for the painters’ audacity to try to uncover the truth. Moore includes page after page of these heartless statements, including one from 1935 in which a company lawyer admitted radium killed one of the painters, Irene La Porte, but said that because she had quit, “all duty we had to that girl as our employee ceased. There is no relation afterward; she is a perfect stranger.” It worked. 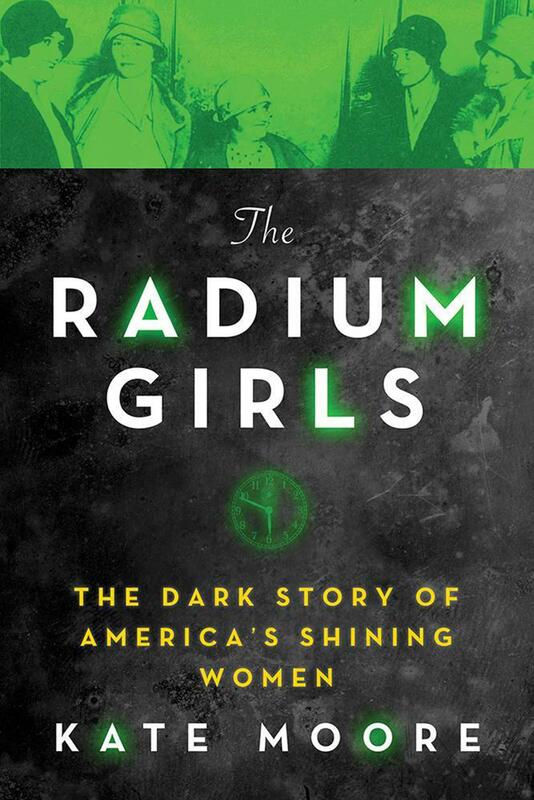 However, another determined group of sick women, knowing their days were numbered – they were dubbed “The Suicide Club” – was successful; in 1939, the U.S. Supreme Court declined Radium Dial’s latest appeal, and the dial painters won. Survivors would be compensated, and their death certificates would state their demise was workplace-related. By the time World War II broke out, and the demand for luminous dials jumped, “dial-painting was now the most feared occupation among young women,” Moore writes, and the government introduced new safety standards for those working with radium. A Manhattan Project scientist insisted that the same protections be offered to those working with an equally lethal substance, plutonium, because of the Radium Girls. Published: May 20, 2017, 12:59 p.m.